We have all heard of joint ventures, but what exactly are they? Is it another name for a partnership, or a just temporary collaboration on a project? These questions, along with other inquiries that you may have, can be answered in the sections below. Joint ventures, as with partnerships, are the simplest form of collaboration between individuals or businesses. Typically, they are utilized when individuals and businesses share common interests and agree to join forces to accomplish their goals. There are a number of reasons why someone might want to undertake a joint venture such as: access to new markets, the sharing of costs, or perhaps the desire to diversify one’s products or services. A joint venture allows for the flexibility of collaboration on a short-term project or even the creation of a new business entity in which the partners are co-owners of a business for profit. Joint ventures are just like partnerships right? Yes and no. It depends on how the joint venture is structured. There are two types of joint ventures: (1) contractual, and (2) equitable. In a contractual joint venture, there is an agreement to collaborate on a project for a period of time, but there is no separate legal entity or pooling of the profits and losses. Each party keeps their accounting records separate and there are no registration requirements. On the flip side, in an equitable joint venture, there is an agreement to form a new legal entity such as a general partnership, an LLC, a corporation, etc. Depending on the type of entity, for an equitable joint venture, partners must register the new entity with the state of Texas. As co-owners of the venture, they agree to share the profits and losses. Thus, individuals or businesses can choose to structure their joint venture as a partnership, another business entity, or they may simply agree to work on a project together under a contract, without the responsibility of overseeing a new business entity. Joint ventures are governed depending on their structure. If the venture is a contractual one, it will be governed by a joint venture agreement. However, an equitable venture will be governed according to the agreement that forms the new legal entity. For example, an equitable joint venture that creates a partnership, will be governed according to the partnership agreement. Whereas an equitable joint venture that creates an LLC or corporation will be governed according its articles of incorporation and its bylaws. The joint venture agreement will govern and may include a number of things such as: the type of venture, the place of business, the start and end date of the venture, it’s members and their capital contributions, member duties and obligations, meeting and voting details, management, dissolution, assignment of interest details, non-compete, confidentiality, and dispute resolution clauses. Typically, the joint venture process begins with a letter of intent, followed by definitive agreements, and due diligence. Parties to the joint venture may want to include additional agreements within the text of the joint venture agreement itself, but it is not necessary and these additional agreements may be referred to separately. Choosing to undergo a joint venture provides several benefits including: greater financial and technical resources, a greater range of expertise and skills, access to new markets and distribution channels, and possibly diversification of products and services. While joint ventures can open opportunities that would not otherwise be possible, there are certain disadvantages to take into account. Depending on the position of the partners, there can be an imbalance in resources, expertise, or investment. Also, poor planning or unclear objectives can lead to misunderstandings in the joint venture process. Liability: Contractual joint ventures provide the most flexibility in this regard because you can choose how you are going to allocate and restrict potential liabilities. Additionally, both parties remain independent contractors, so you will not be held liable for the actions of a co-venturer like you would if you formed a general partnership. On the down side, contractual ventures do not provide you with the same shield that equitable ventures that form an LLC or a corporation do. LLCs and corporations shield its members from the company’s liabilities involving debts and other obligations. Expense: As far as cost, contractual ventures are less expensive because they can avoid the formalities required in establishing a new business entity and registering it with the state of Texas. Regarding taxes, in a contractual venture, each partner typically pays taxes based on their own contributions. Management structure: A contractual joint venture provides the most flexibility because there are no corporate formalities that must be followed. There are no structural changes to the business as the parties retain control and ownership of their own assets that they contribute. Lastly, there is no meshing of management styles since there is no new entity. Stability: A contractual joint venture does not usually involve any transfer of assets, making it easier to both start the venture and terminate it if need be. 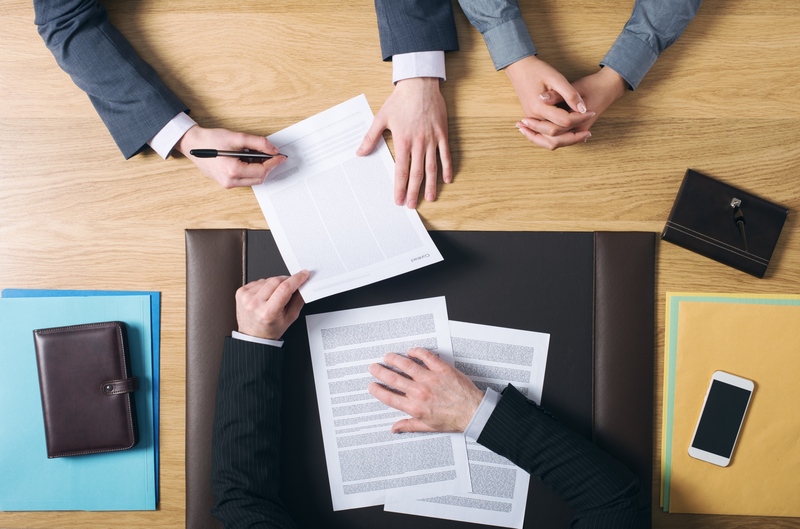 However, a contractual venture can be less stable than an equitable one because there is no default set of rules such as the Texas Business Organizations Code, to govern the venture in the case of disputes or omitted items from joint venture agreements. Liability: Joint ventures in the form of partnerships leave you open to the most exposure, as a partner can be held liable for the acts of another partner. Whereas an LLC or corporation provide a vehicle through which partners can shield themselves from liabilities caused by other partners as well as debts and obligations of the partnership itself as mentioned above. However, a corporate structure limits the ways that you can restrict specific liabilities such as fiduciary duties that could be negotiated in a contractual joint venture. Expense: Even though formalities and registering with the state of Texas increase expenses of an equitable venture, they can also reduce costs in other ways. For example, the new entity will have specific mechanisms in place to address expenses like accounting and monitoring, whereas addressing these expenses all under one joint venture agreement may lead to confusion down the road as to which parties are responsible for which costs. Management structure: Partners in the joint venture may have different management styles, and workplace cultures, making it difficult to reach an agreement in the newly formed entity. In regards to control of the venture, ownership over contributed assets, sharing of the profits, liabilities, and management rights are typically tied to their percentage of ownership. Stability: As mentioned above, if a new entity is formed, then there is a comprehensive legal code to govern the venture instead of leaving everything up to the joint venture agreement. Although, equitable joint ventures can be harder to dissolve than contractual ones due to liquidations and sales. Selecting partners: prospective joint venture partners should be carefully identified based on shared business goals, and time should be allowed to build a relationship before the actual joint venture negotiations begin. Time invested in this initial step will pay off later in smoother dealings between joint venture partners. Scope of the joint venture: there are other issues that need to be discussed with your prospective joint venture partner, such as how to proceed regarding corporate opportunities. For instance, most partners will want to include a non-compete agreement so that the venture partners will not be able to compete with the venture itself. Other factors regarding scope include: the timeline of the joint venture, what geographic areas the venture may operate in, and the disclosure of information to your joint venture partners. The way that a joint venture is taxed depends upon how it is structured. In a contractual venture, with no new entity formed, each partners’ business will be taxed individually. However, taxation of an equitable venture is based on the type of entity created. For instance, if a general partnership, limited partnership, or an LLC is formed, then the entity itself is taxed once. If your equitable venture creates a corporation, then it will be taxed twice. This is because corporate profits are taxed both at the entity level, and those same profits are taxes again when distributions (dividends) are made to shareholders. Joint ventures are excellent vehicles for creating or expanding a business, but there are certain issues that need to be addressed before moving forward. Therefore, you should consult experienced legal counsel before entering into any joint venture arrangement. This information is provided for educational and entertainment purposes only. It is not legal advice. Consult legal counsel for your particular situation. We are a Dallas-based law firm representing entrepreneurs and innovation-based companies. Our mission (and passion) is to help businesses find solutions to legal challenges. We seek to help our clients achieve business feasible, cost effective solutions to legal issues and challenges.